This elk sheds her winter coat during the warm spring days. 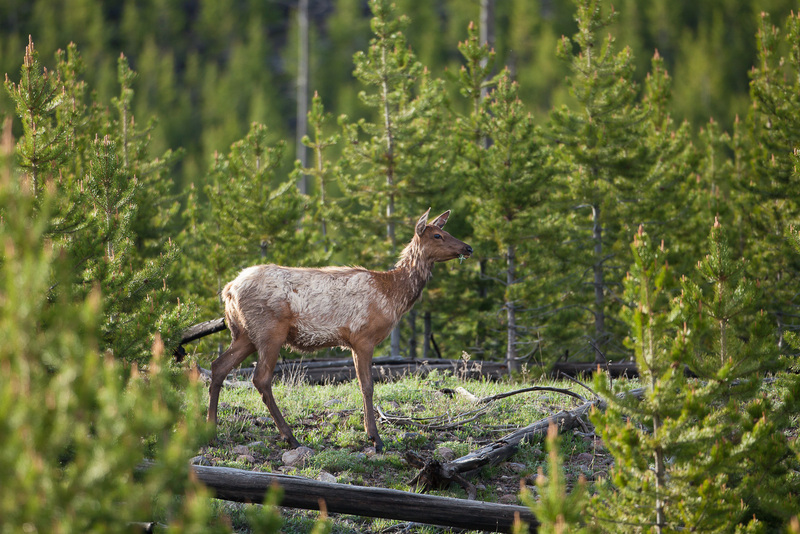 Summer elk populations range from 10,000 - 20,000 but primarily winter in the lower elevations outside the park. Photo © copyright by Lance B. Carter.